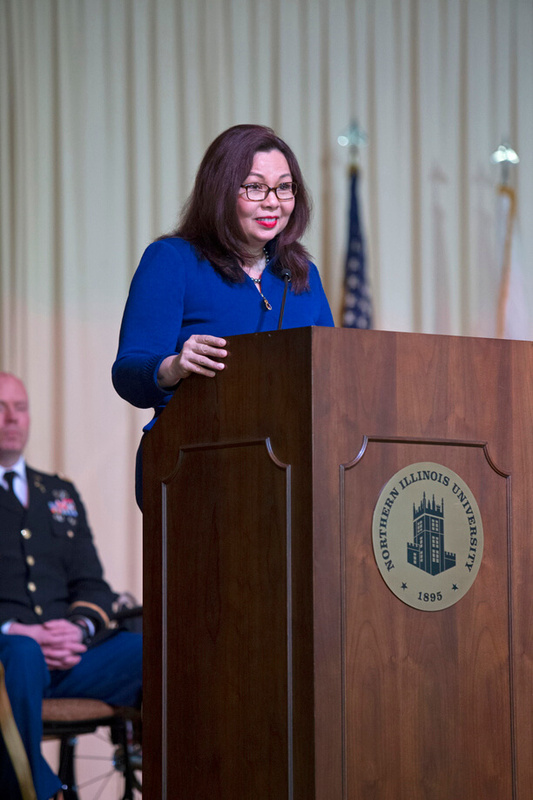 U.S. Sen. Tammy Duckworth, an NIU alumna and decorated Black Hawk helicopter pilot, returned to campus today to address an audience gathered for the appointment of eight NIU ROTC cadets as officers in the U.S. Army—including Ally Lehman, one of only 10 women selected nationally for the infantry this year. The U.S. Army Infantry commission is one of the most hotly pursued placements each year among the thousands nationwide who complete four years of officer training through the Reserve Officers’ Training Corps. Such combat jobs were made available to females for the first time last year, when a dozen women were chosen for the honor. 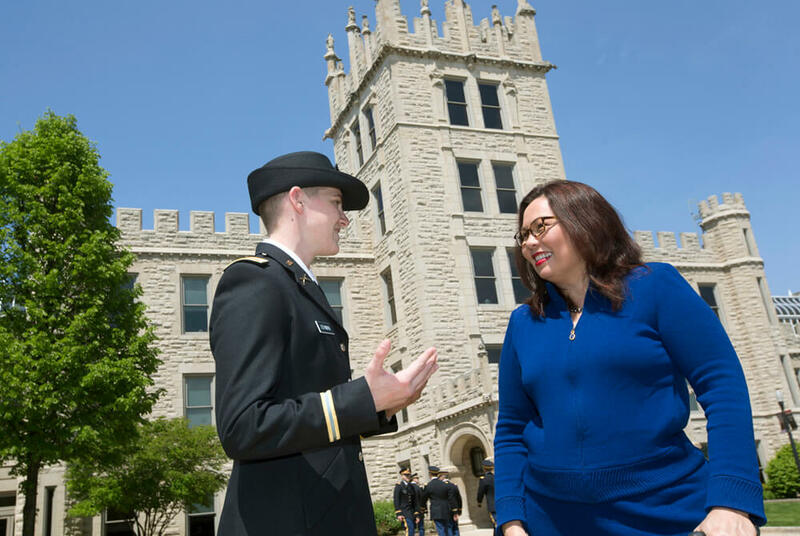 This week marked the silver anniversary of Duckworth’s own ROTC commissioning at NIU. Lehman came to NIU from Nineveh, Indiana, in 2013, setting her sights on leading the NIU women’s basketball team, and she starred on the court, earning all-conference and NIU’s female Athlete of the Year honors this past season. She graduates this weekend with a degree in general studies, while receiving her commission as a second lieutenant. 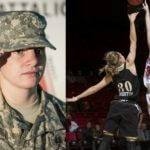 She is the first NIU athlete to graduate while completing ROTC training and remaining competitive in a sport. 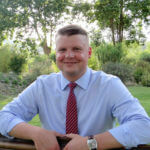 Lehman now looks forward to undertaking the Infantry Officer Basic Leadership Course at Fort Benning, Georgia, a 17-week class that provides new officers the basic skills to lead a rifle platoon into combat. Duckworth was first commissioned as an officer through NIU ROTC on May 9, 1992. More than a decade later, while working on her doctorate degree in political science, her studies at NIU were cut short when her Illinois Army National Guard unit was deployed to Iraq. During a mission north of Baghdad in 2004, a rocket-propelled grenade struck the helicopter she was co-piloting. She continued to attempt to pilot the aircraft until losing consciousness from blood loss. As a result of the attack, Duckworth lost both of her legs and partial use of one arm. She received many decorations for her actions, including the Purple Heart, the Air Medal and the Combat Action Badge. 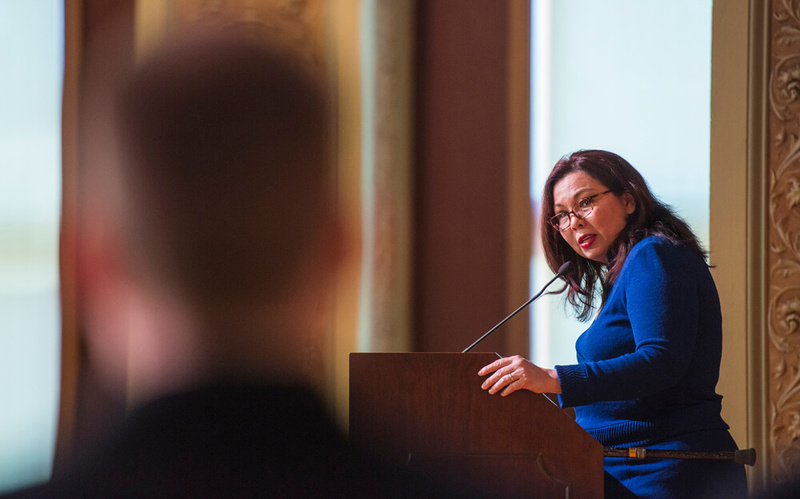 Following her recovery, Duckworth dedicated her life to public service and emerged as a national figure, advocating on behalf of veterans and people with disabilities. 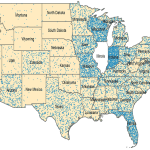 She served as an assistant secretary at the U.S. Department of Veterans Affairs under President Obama and was first elected in 2012 as the U.S. representative for Illinois’ 8th Congressional District. In 2016, she was elected a U.S. senator from Illinois. NIU awarded Duckworth with an honorary doctoral degree in 2010. 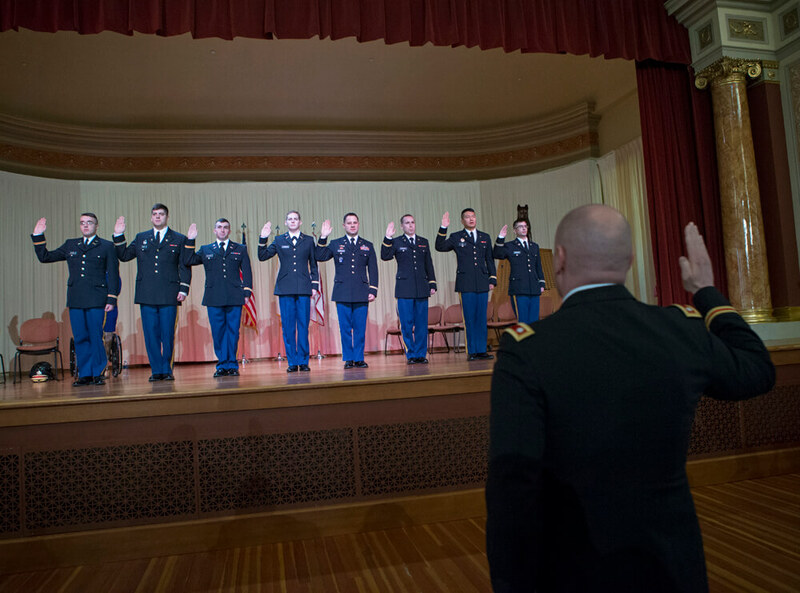 The NIU Huskie ROTC Battalion has been providing quality leadership to the U.S. Army for more than 40 years.